What Causes Heartburn in Women? The benefits of licorice root for gastroesophageal reflux disease have been proven only when combined with other herbs, according to MedlinePlus. Signs you have the disease, known as GERD, include chronic heartburn and acid reflux. Since inflammation over a prolonged period of time can lead to complications, seek treatment from a physician if you have GERD. GERD is caused by stomach acid or bile flowing back into your food pipe. The acid irritates your esophageal lining. As a result, you experience acid reflux and heartburn. The two conditions are common, but if they happen at least twice each week or interfere with your daily life, you may be diagnosed with GERD. Lifestyle changes can relieve some of the discomfort GERD causes, but the relief may be just temporary. In some cases, you may require stronger medications or surgery to reduce symptoms. Licorice root is an ingredient in products such as tea, candy, pills and extracts. The scientific evidence on licorice root is insufficient for proving many of its health claims, but some studies show promise, including those on heartburn, eczema, ulcers and weight loss. 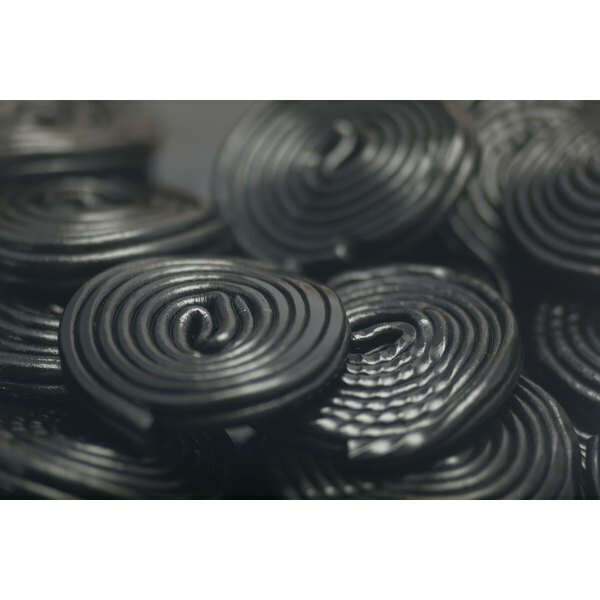 Be wary of licorice with the ingredient glycyrrhiza, since it can cause serious side effects. A type called deglycyrrhizinated licorice may not give you the same side effects. Consult your doctor before consuming licorice root regularly. Licorice root can relieve the symptoms of heartburn and acid reflux associated with GERD, if you combine it with other herbs. You may get temporary respite from cramping, vomiting and nausea. German chamomile, clown's mustard plant, angelica, caraway, lemon balm, milk thistle and peppermint leaf are packaged with licorice root and taken in a dose of 1 milliliter three times daily, notes MedlinePlus. The peppermint and chamomile used in this formulation are two herbs often used for indigestion, according to the University of Maryland Medical Center. Over-the-counter medications may be part of your treatment plan, and may include antacids to neutralize stomach pain, medications that reduce acid production and medications that block acid production. Your doctor could prescribe special medications if your heartburn symptoms persist. In some cases, GERD requires surgery. Procedures can reinforce the lower esophageal sphincter, create a barrier that prevents stomach acid from backup and form scar tissue in the esophagus. Reduce the frequency of heartburn by maintaining a healthy weight, avoiding foods that trigger heartburn, eating small portions, not lying down after a meal, elevating the head of your bed, quitting smoking and wearing clothing that isn't tight.